Why every player needs back to the basket post moves. How to learn the Euro Step the right way. All of the basketball dribbling moves. The art and science of shooting. That's a lot of skills. And that is not even close to what is on SDC. When it comes to basketball instruction, the most important aspect to teaching and learning is to differentiate the content based on player readiness. What is most important thing that SDC does for players is keep them organized and on task when they are practicing. Each skill is coordinated, and clear while broken down into steps. As players master new skills, they are able to improve at a very fast rate sequentially. Guaranteed to improve your basketball skills. Here is how we unveil these skills to players as they progress: The entire system is progression and assessment based, so players learn all of the techniques and follow the progressions as they go. The system shows the kids exactly how to learn and use these skills in a correct order. And helps them have more fun and build more confidence as they improve. The skill development programming: Despite the young ages of players, numerous youth players have reported that they have been able to reach the advanced level on the skill assessments. This greatly contributes to their overall confidence in themselves and their feel for the game. We tested the programming for over 2 years before even launching the concept. For instance, the system will tell players many 2 ball pounds an advanced level college player should be able to do in 30 seconds. And how many that a beginning player should be shooting for. Basketball is a game of confidence. Confidence only comes through repetitions. And repetitions create muscle memory. There is a better way to learn how to play basketball. You just have to know what to do in order to become a better basketball player. Learning what to do and learning how to do it is the missing piece that SDC steps in and helps you and your players with. The player development advantage to having SDC is that everything is engaging, measurable, and clear. Step-by-step. Week by week. You will improve incredibly from the time that you start utilizing our proprietary skill specific, position specific, and age specific player development routines. 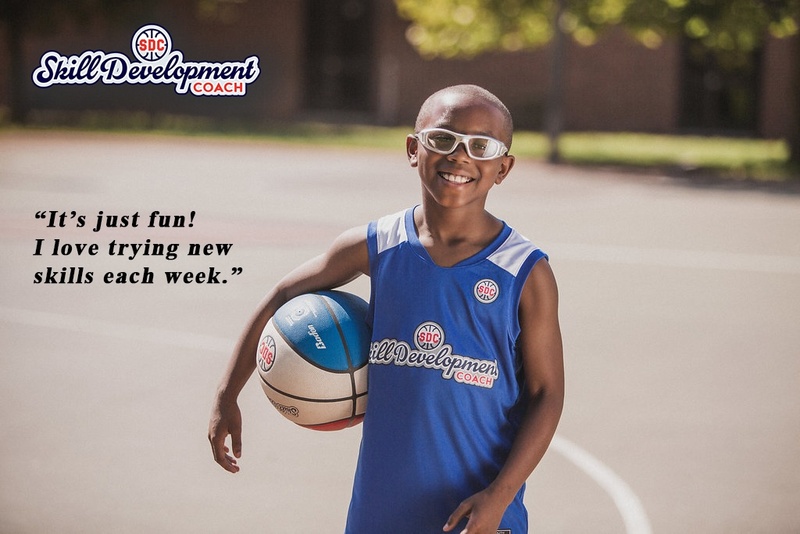 One of the great aspects of SDC is that it shows kids the exact techniques to improve at the fastest rate with their ball handling skills and improve their weak hand. 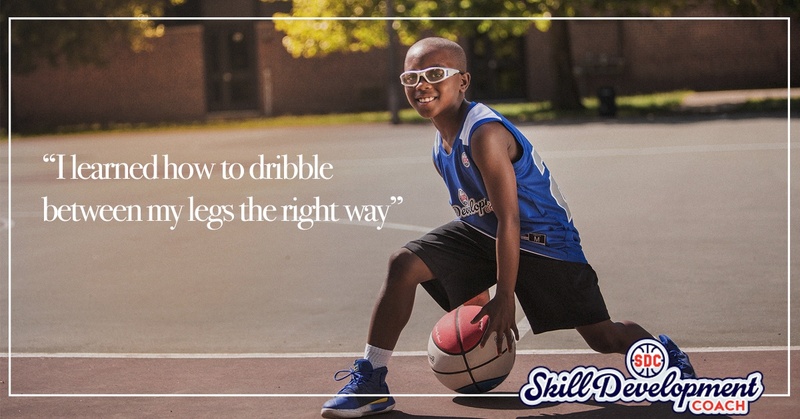 See the top 5 basketball skills that youth basketball players should be practicing. Weekly player development plans give players the consistent routine that they need without overwhelming them with irrelevant, useless content. Game specific progressions, skills challenges, skill assessments, advanced techniques are all outlined for players. And it's all accessed with the click of a button in a very cool and easy to use format. Skill Development Coach and Periodic Table of Basketball Skills gives players very clear, consistent, guidelines as to how to up their game in the fastest time possible. Master The Table... Master The Game!